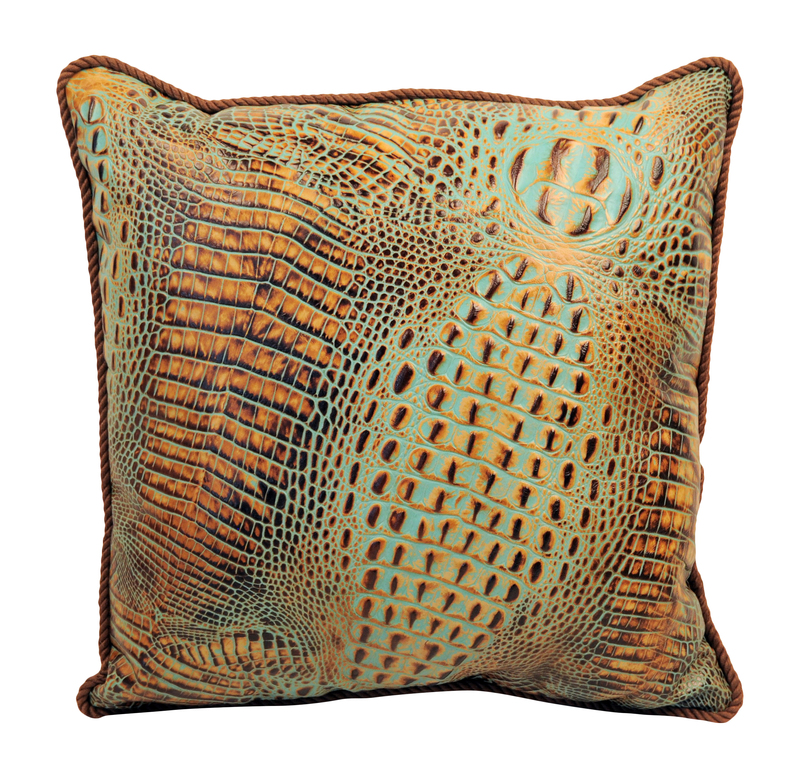 P-0731 Alligator print embossed on full grain leather 18" x 18"
Home > Pillows > P-0731 Alligator print embossed on full grain leather 18" x 18"
Alligator print embossed on full grain leather in tan, turquoise and brown colors. Back is a soft brown fabric. Matched cording around the edges provide a very finished appearance. 18" X 18"